'Mera Naam Chin Chin Chu' is a track it seems almost everyone has heard, or seen... it's one of those ubiquitous classics with a universal appeal, a superbly captivating example of cheerful Bollywood-style proto-rock 'n' roll that's impossible to dislike, and there's always going to be someone sharing the YouTube clip. Can you blame them? The rest of 'Howrah Bridge' [review] is good too. The King of Rhythm O.P. Nayyar lives up to his moniker; these are peppy songs with quirky beats and bundles of charm. At the moment I like 'Aaiye Meharban' and 'Eent Ki Dukki Paan Ka Ikka' best, but it's really an album to enjoy all the way through. I really love this album, and listen to it often, even though I probably have the worst copy in the world. Now I have this. THANK YOU!!! My first encounter with Bollywood music was "Mera Naam Chin Chin Chu" on a Minneapolis community radio station in 2006. (It must have been Bollywood hour.) My mind was blown! What was this insanity?! I wanted more, but wasn't sure what I was listening to! SE Asian? Ethiopian? (The slide guitar really confused me.) Before signing-off, a soft-spoken Indian gentleman serving as DJ mentioned "Howrah Bridge" and the "Beginner's Guide to Bollywood" -- enough to get me on the right track! Thanks to Music from the Third Floor, my mere curiosity turned into full blown obsession! When I explain that I love vintage Bollywood music because of this awesome Norwegian blogger, people seem confused. They probably think I'm crazy! Thank you so much for all your effort over the years! You are my hero! Seriously! Thank you for the kind and encouraging words. Bombay to Minneapolis via Oslo... it's like a friend of mine once said: "Pop is your passport!" Great Album PC, this album consists full songs whereas EP and 78 have edited one but their sound is superior than this. 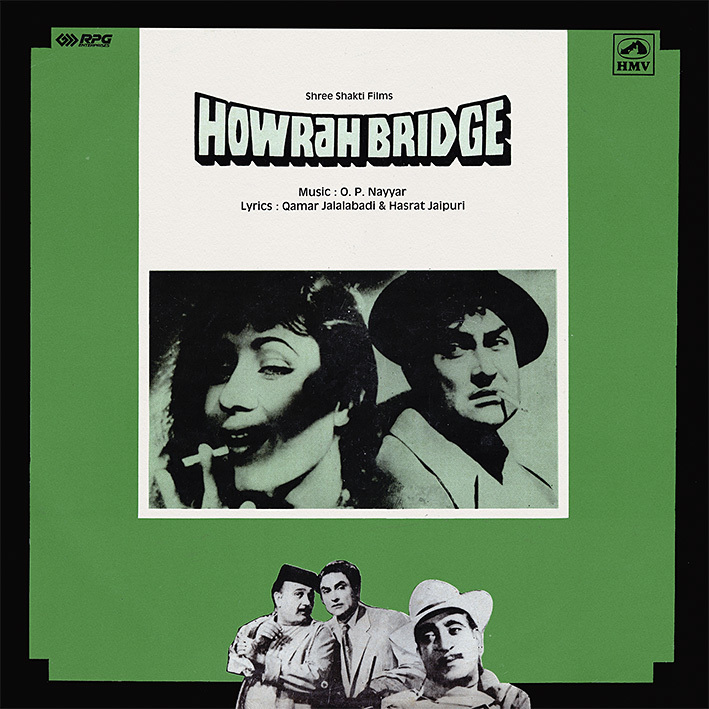 A really treat to listen these songs in EP but HMV tried their level best to provide a good sound and "Haowrah Bridge" also on their late released LP which were earlier released only in the form of EP, SP or 78s like Cha Cha Cha, Pran Jaye Per Vachan Na Jaye,Pooja ke Phool etc.